Ferguson Veresh Inc can handle all your sewer and drain cleaning needs. 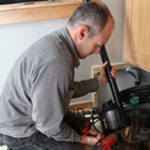 We are there when you need us, ready to diagnose your drain problems and solve them. Our technicians are trained and experienced in using the latest technology to provide a level of service unmatched in the industry.